Your Dark Northern Spring Hard Red Wheat is planted and growing for our 2010 harvest! See the plant at about 2 weeks old. 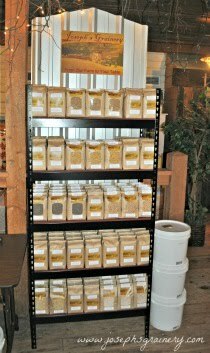 It's important to know where your food comes from and how it's grown, that's why purchasing whole grains from Joseph's Grainery is a wise idea.